Luv2 Bingo Review - 100% cash match bonus on 1st deposit! 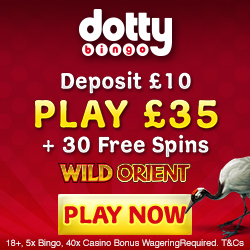 Unfortunately there is no promotional scheme available on Luv2Bingo to assist us in advertising the site. As such we have provided you with an alternative called BoyleSports Bingo, which is an impressive gaming site offering a great choice for any type of player. As you can imagine we at Mobile Bingo Bonuses are pretty big fans of online gaming, so when we discovered a site named after our favourite games we had to check it out. Luv2 Bingo may not be as fancy as other sites, but they offer a number of games including bingo, progressive jackpots and featured slots. 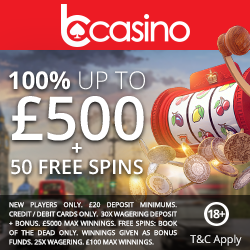 When you make your 1st deposit of a minimum £10 up to £100, you’ll receive a 100% cash match bonus. This basically means you’re doubling your money and on the minimum amount will end up with a total of £20. If the welcome bonuses don’t excite you enough, then how about the fact that Luv2 Bingo offer a number of regular promotions. These include spins on Spin-Tastic, a share of 2 million loyalty points on the 2 Million Race and £1,111 in guaranteed monthly jackpots on Zodiac Bingo. Many of us love to share the new sites we’ve discovered with our friends, so why not tell them about Luv2 Bingo. For each friend you refer you’ll receive £10 bingo bonus, with a cap of 15 referrals per month. It’s not all about bingo, because Luv2 Bingo offer chat games so you can have a giggle with your friends or meet new roomies. You’ll have an experienced chat host who can explain how the games work, plus lots of opportunities to earn extra bonuses. For the regular Luv2 Bingo players, you’ll enjoy the extra bonuses you receive through their loyalty scheme. As you wager you’ll receive points (£1 equates to 12 points) and these will move you through the 4 levels which include bingo rookie, bingo pro, bingo master and bingo champ. The higher the level the better the bonuses, which include cash back, spins and tickets. To resolve any queries or problems, you can contact a representative via telephone or email. There’s also an FAQ section which answers popular questions raised by other bingo players. Luv2 Bingo accept the usual banking methods including Credit and Debit Cards, Entropay, Paypal, Paysafe Card and Neteller. To register and claim the 1st deposit bonus, simply head over to Luv2 Bingo and enjoy.